When Mel Brooks lampooned Star Wars with his Spaceballs parody, I seriously doubt that he would have ever imagined that his comedy would even remotely parallel reality in any way. The humor of the movie is intentionally as unrealistic and insane as possible, and that is precisely why the movie has become such a cult classic. Unfortunately, rampant pollution in reality has begun to force desperate individuals to resort to almost comical (if the issues weren’t so serious) measures to find breathable air, thus becoming examples of life imitating Spaceballs. In the Spaceballs movie, the evil empire’s planet is losing its breathable atmosphere, thus has developed a vacuum cleaner-esque super-weapon to steal the atmospheres of other planets. As this weapon has yet to be completed, the emperor—played by Brooks himself—is stuck denying the problem to his people while buying designer canned air (called “perri-air” after the Perrier bottled water) to breathe while alone. Some urban areas in China have air so polluted and toxic that their residents have begun lining up to inhale breaths of bagged air, collected in cleaner mountainous regions. 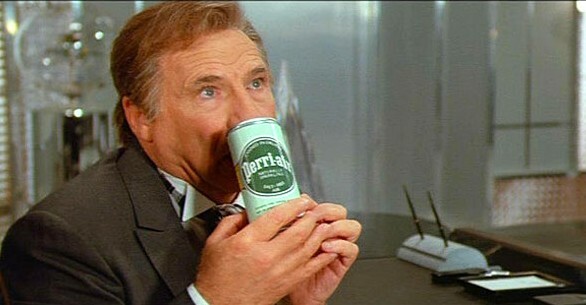 The absurdity of this situation directly parallels that of the Spaceballs “peri-air” and gives us an incredibly bleak look at the consequences of pollution. The rise of “super-smog,” which literally breaks the measurement equipment for air pollution, has made this new industry possible, if not necessary in some regions. Super-smog is incredibly dense and toxic, making it capable of shutting down entire cities with a combination of health hazards and a lack of visibility (imagine driving around in a city larger and more densely populated than New York with a visibility of about 20 feet). Air pollution can be deadly and China is rapidly learning just how dangerous super-smog can be. Mortality reports from health organizations have indicated that residents of highly polluted Chinese cities will have more than 5 years taken off of their life expectancy, and will be at increased risk for disorders like asthma and lung cancer. In fact, just recently, an 8-year old Chinese girl died of lung cancer, giving China the dubious distinction of being home to the youngest lung cancer victim in recorded medicine. Simply living in many areas of China today is the functional equivalent to living in a cloud of secondhand smoke. While the anecdote that living in China is like smoking a pack of cigarettes a day is exaggerated, the general idea is correct in that the Chinese people are suffering from long-term exposure to some of the very same chemicals that make cigarettes so dangerous. At the end of the day, many Americans will look at this health problem in China—and the absurdity of bagged air—and will think that the situation has no bearing on their lives. Unfortunately, these people are incorrect, as the Chinese plight simply gives us a view of what our country may one day look like if we let big-petrochemical continue to pollute and buy off our regulators. While the USA doesn’t have smog so thick that it shuts down cities and gives children cancer (yet), we do have severe environmental problems which stem from the very same toxic root of industry trumping health. The best US analog to the Chinese air crisis is our adoption of fracking to extract natural gas from shale rocks that would otherwise not be mine-able. In both cases, a deregulated industry, sanctioned by the government, is polluting large areas of a nation and making millions sick in order to ensure a personal profit—the primary difference between the situations is that super-smog is a highly visible air hazard, while the chemicals of fracking are invisibly carried into our homes through water pipes and even up through the soil beneath our feet. 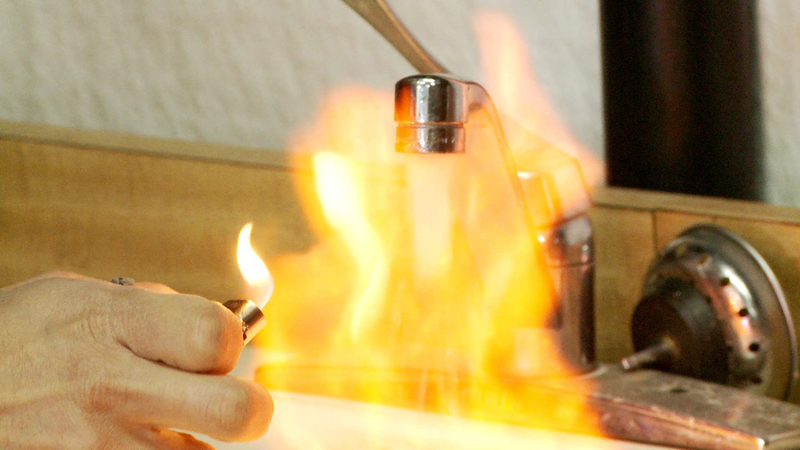 Fracking (hydraulic fracturing extraction methods for of natural gas deposits in shale rock) has begun across large swathes of the United States, rendering the water toxic, carcinogenic, and even explosive. 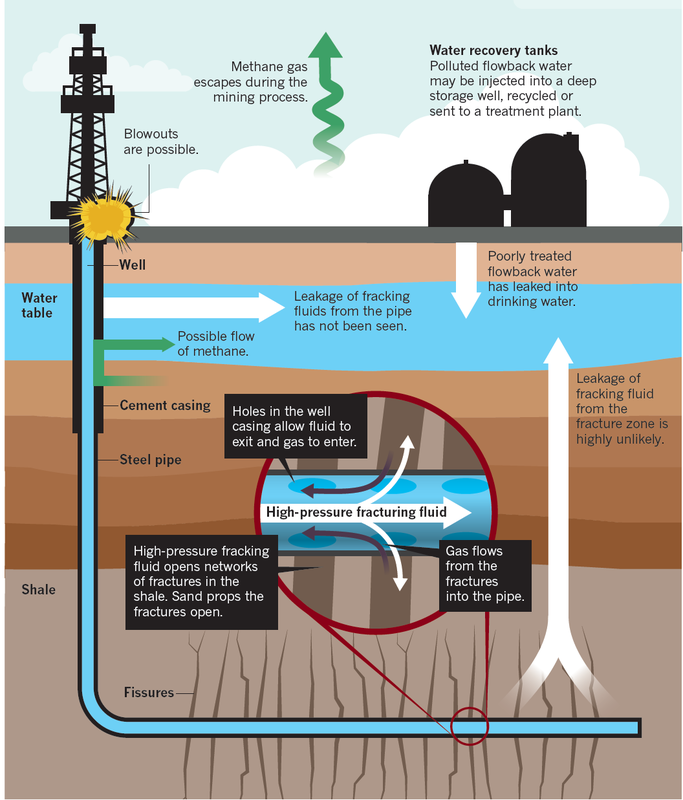 The chemicals used in fracking rise up through the soil or spill out of containment ponds, while methane mixes with water and aerates it with an explosive mixture. We simply don’t know the extent of the damage that fracking has done to human health because the industry has managed to keep its chemical formulas a secret and has even put gag orders on doctors who want to treat victims of chemical exposure in fracking areas. In addition to the health consequences, the pressurized water from fracking has also caused earthquakes that have damaged homes. Is having to worry about your tap-water exploding any more ridiculous than having to breathe fresh air out of a can or bag to avoid suffocation or sickness? Is it any less dangerous? At the end of the day, both China and the USA need to reevaluate our environmental priorities and start implementing policy that takes us away from ecological catastrophe. When life begins to resemble a Mel Brooks parody, you know that things have gone WAY too far towards the absurd. One thing to keep in mind about China is that the talking point of economic growth numbers are critical to the Communist Party staying in power so changes to China’s environmental policy (that could negatively impact growth numbers) so changes are not likely to happen in China until they are seen as a measure for averting social unrest. I agree, but see that point as rapidly approaching–you can only tolerate the super-smog shutting down your cities and afflicting the population (including the rich) before you either fix the problem or face a populist uprising. In fact, we saw this very process in the USA with the creation of the EPA after several rivers caught fire due to industrial runoff. Yet, there are those who continue to beat the drum for deregulation, what we become. It is truly terrifying.